Oakton Community College of Des Plaines, Illinois has awarded this year’s $1,000 William Frick & Company RFID Technology Scholarship to sophomore Vincent Sutcliffe of Niles, Illinois. 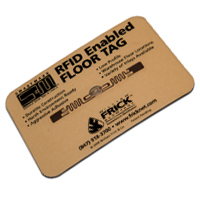 William Frick first began offering the RFID scholarship in 2007 to full- or part-time Oakton Community College students majoring in RFID. The company also provided hardware support for Oakton’s RFID lab at the Ray Hartstein Campus in Skokie, Illinois. Intended to encourage a student with promise in the field, the selection criteria for winning the Frick scholarship include strong interest in RFID, at least a 2.5 GPA, an essay and excellence in course work.